← Say Hello to the New Shoefie! Hey, Boston: The Rolling Stones got no expectation . . . to pass . . . through here . . . again. 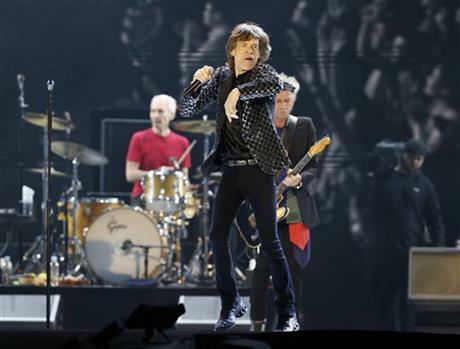 LOS ANGELES (AP) — The Rolling Stones are zipping across North America again. The other lucky towns this time around? Pittsburgh, Pennsylvania; Milwaukee, Wisconsin; Kansas City, Missouri; Raleigh, North Carolina; Indianapolis, Indiana; Detroit, Michigan; Buffalo, New York; and Quebec, Canada. To be sure, the boys did give us two memorable post-Marathon Bombing concerts in 2013. But really, how many tours do they have left in ’em? Let’s hope at least two. This entry was posted in Uncategorized and tagged 50 & Counting, A Bigger Bang Tour, Associated Press, Charlie Watts, Donnie Moorhouse, Keith Richards, MassLive, Mick Jagger, Politico Playbook, Rolling Stones, Ronnie Wood, Zip Code tour. Bookmark the permalink. But they’re still not coming here, are they?